On Monday I shared with you my goals for the new year. I’m happy to share that I’m doing very well with my goals. I’ve been drinking a ton of water, have not had even a glass of wine, and have cut out nearly all of my sugar! Aside from the occasional piece of chocolate, I’m pretty much sugar free. 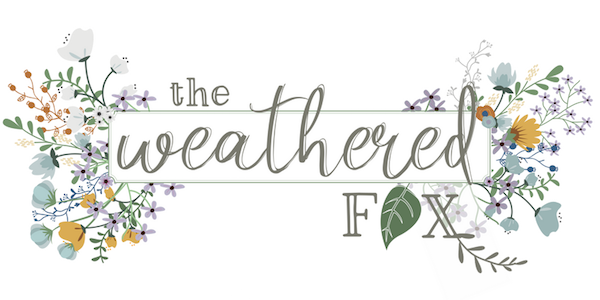 I’ve stuck to a weekly blog schedule (Mon-Wed-Fri), and I’ve even created a few new signs for my shop! We’re working on two unfinished projects right now, and I’m excited to share the progress with you soon. In the next few weeks I’m planning to renew my gym membership, and establish a relationship with a physician so I can start to get on the healing track for my feet. Home wise, I want to continue our progress toward a clean and decluttered home. Today I want to share with you a few tools that have helped me in the past, and that I’m going to use to help me stick to my goals this year. All of the tools, except one, are apps for your smartphone. I really think these apps are the most helpful because you carry them with you wherever you go. If you’re not already on My Fitness Pal, you are missing out. I discovered My Fitness Pal two years ago when I first started the Live Fit 12 Week Trainer. You are able to set target goals, enter progress data, log workouts, and even create a little community that keeps each other motivated. 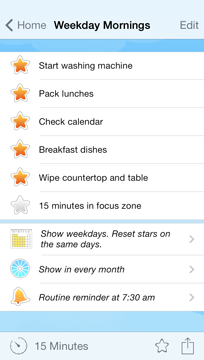 But the best part of the My Fitness Pal app, in my opinion, is the meal logging system. With this app, you are able to create and save recipes, and search for recipes others have made. You can look up products by scanning their bar code, and it automatically uploads the information to your recipe or your food log, whichever you choose. This makes for accurate nutritional facts per serving, even when you’re using a handmade recipe. This app is a must have for keeping your fitness goals. 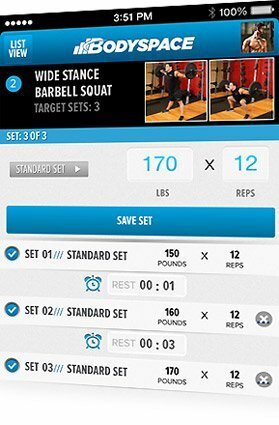 This app is great for taking your workout routines with you. I used it every time I went to the gym to keep track of my workout routine. You are able to select workout programs, like the Live Fit Trainer, and it will tell you the daily workout, right down to the reps and sets. You are also able to log your reps and sets so you can use that information to help with future workouts. This app eliminates the need for a log book at the gym. This app is not free. I paid $4.99 I believe, but it was worth every penny. Home Routine is so well designed, it keeps even the messiest houses (..mine) clean. You are able to create customized daily, weekly, and monthly routines. 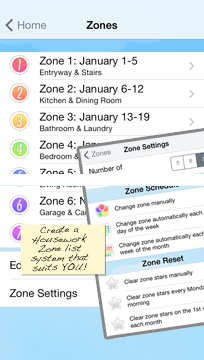 You can also create your own ‘Zones’, which are pretty much just different rooms of your house, and add the zones into your cleaning routine. Since I purchased this app a few weeks ago, we have cleaned 4 rooms of our house from top to bottom. I know that doesn’t sound like much, but I mean we CLEANED them. We started with decluttering, and went all the way down to washing the walls and scrubbing every corner. The best part is that the zone cleaning routines are only 15 minutes long. It would be like pulling teeth to get my husband to help with cleaning, but when it’s broken down into 15 minutes, it just seems more doable. Who doesn’t have 15 minutes to spare? I’m not kidding, this app has changed my life. My husband and I started using our phone calendars regularly. We check and update the daily calendar in the morning, and we add all other events that pop up whenever we can. Since we keep our calendars synced, we are able to see what we have going on, where we are, on a daily basis. This is super helpful for us because of all the things we have going on, it’s hard to keep track without a syncing calendar. I only have three categories for our calendar: Brian’s schedule, my schedule, and family schedule. The family schedule is used for events that we will both need to attend. The last one is not an app, but I find it difficult to stay organized without it. It’s a hardcopy calendar. I use it mostly for keeping my work schedule updated, keeping client appointments and events, and scheduling blog posts and projects. This year, I’m not buying one from the store. I always find that they lack a organizational/brainstorming piece. Most planners I find are more appointment books than planners. This year I’m trying out a digital calendar that I can print myself and have bound. I’m working with this planner from Fresh Crush’s new line of planners. Each week of the month has a full, two-page spread. This leaves lots of room for your schedule, and extra notes to help you remember all the pretty details. There is a calendar page for each month, with generous room to keep your month organized, and tip-top. But the best part of this planner is a blog scheduler, with nifty little social media checkboxes to help keep my posts organized. 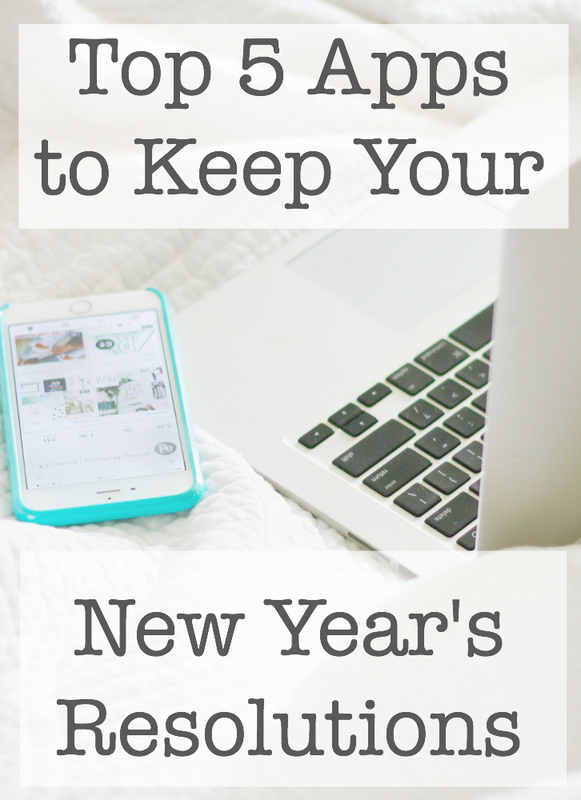 And those are my top 5 tools for keeping my 2016 goals! Do you have any tools that were not listed here? I’d love to hear how you’re keeping your goals in 2016! Huge thanks to Ashley Ella Design for her amazing stock photos! These are great apps! I think the planner one would be a great thing for me to have. Just gotta keep on it! I slipped for a few weeks and now I have to catch up! I am a hard copy planner person and this one sounds awesome. I will be checking it out for sure. Let me know how you like it if you end up getting one! And where you printed. Love this Crystal! I’m going to try the cleaning one. I def struggle with doing that everyday.